I saw this commercial month ago for the first time, but it stuck with me enough that I want back and searched for it for this class. 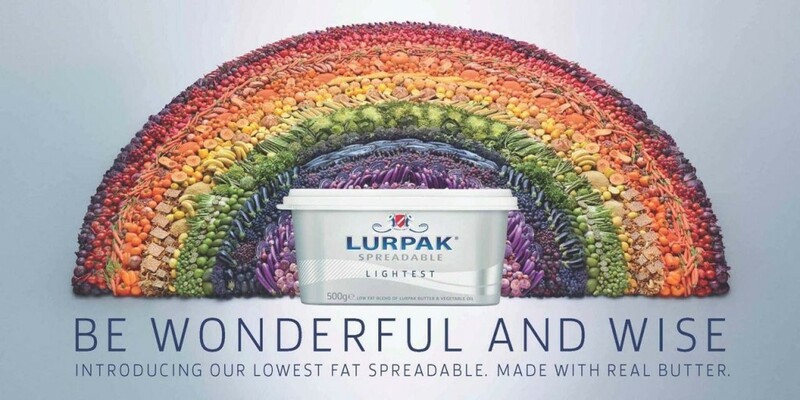 It was made by a local advertising firm Wieden and Kennedy, and is promoting Lurpak, which apparently is some sort of butter imitation. The key in this piece is the detail. Who thought peas in a pot could be interesting? Not me. But the opening shot with the slow motion pea falling and water splashing is fantastic. The whole piece is extremely well paced, utilizing timing to the fullest with productive application of time lapses, slow motion and cutting on the beat of the soundtrack. The other key is angles. Looking up from the water pot through Brussels sprouts at someone removing the lid, being connected to knife as it cuts onions, sliding down the potato following the peel, this all make the cooking process come alive. The creative shots make you feel like you’re in the food. There is a lot to learn here in terms of imaginative camera angles and how to make seemingly mundane daily duties jump of the screen! Advertisers should just quit after seeing this badass commercial! The latest Volvo commercial is going viral with almost 35 M hits in less than a week. This 1:17 min video shows great action. I was always told by my production professors that if i wanted to do a rack focus or zoom out shot i better show something not seen and introduce something cool to the scene. it’s also kind of like what Wes told us in class don’t show all things at once. This is a perfect example of that. According to the makers of this commercial the 53-year-old Jean-Claude Van Damme did this dangerous action for real and in only one take. They had the usual safety precautions but still it’s a badass moment. Enjoy the action! Mark Wagner – Money is Material from The Avant/Garde Diaries on Vimeo. My inspiration this week is a profile video about an artist named Mark Wagner who makes amazing collages out of dollar bills. The work this guy is doing is incredibly detailed and takes an immense amount of patience. The way the video is made, it really captures that detail and patience. It does this through the amount of extreme close-ups which show us even the tiniest elements very clearly and really takes us in there so we see what he sees. It also does it through the pacing of the video, which is a little slow but I think works to portray the tenacity of this guy. Also, the time-lapse videos help to break up some of the slower pacing and show a complete cycle of what would otherwise take a long time. The interview is done really well and uses proper lighting and framing, and I like that we hear the artist’s voice for a long time before we ever actually see him talking. The lighting throughout the video is consistently nice, it all looks very well thought out and deliberate, and the camera movements all flow well. The editors also used a trick I always find effective for transitions, and that is at 2:20 when it cuts from the end of the time-lapse of the art piece to a view of it hanging on a wall and it is in the exact same place in the frame from one shot to the next. Its kind of like the classic scene from 2001: A Space Odyssey where the bone is thrown up into the air and then we see a satellite in the same spot in the next scene. 1. Particularly in the opening, they weren’t afraid to use dark, high-contrast shots. This obscures the details of the cliffs, which forces us to focus on the movement and power of the ocean swells. 2. There aren’t many close-ups in this piece, and I noticed in particular that there are few close shots of the surfers’ faces. Like the dark lighting, this an artistic choice that I think you have to be very deliberate about committing to, but it works well here because the film is about human bodies responding to the ocean. Which is big. Thus, tension and emotion are generally more apparent in long and medium shots (although, extreme close-ups are still used when they communicate well–e.g. individual water drops when the narrator is talking about how cold the ocean is). 3. I like the series of jump cuts at 3:10. They give us a small narrative sequence but maintain that feeling you get with adrenaline, that time doesn’t pass normally. 4. 4:48!! Hands-down my favorite shot in the piece. Is it kind of jerky because it was filmed with normal-speed film, and then drastically slowed down? Again, this is a decision that we’d normally avoid, but that in this case is deliberately applied and befitting in that it contributes to a feeling of sublimity. The trailer from 12 O’Clock Boys uses the wildness of kids, teens, and adults riding dirt bikes down city streets to create an atmosphere of danger and mayhem, but you can tell that the bravado of pulling off the 12 O’Clock stunt isn’t where the movie stops. It uses this as a starting point and a thread throughout the movie to explore the choices a kid in this part of Baltimore might make. It’s not an easy part of town to grow up in. Within the story of the dirt bike gang is the story of young boys who use this group as a means of rebellion and belonging to something. They appear to be taking on an image of masculinity that requires them to grow up quickly. What does this mean for Pug, the boy who will be our guide through this culture? What does it mean for the people who living with and around these boy? The filmmaker said the gang actually has a degree of mentorship within it where the older bikers mentor the younger ones. I listened to an interview with the filmmaker and he talked about the different and divided ways people are viewing the trailer. Does it glorify this rambunctious group of kids who are breaking the law, disrupting traffic, and putting themselves in danger? Does it highlight a sport and a subculture that should be celebrated because of its rebellious nature? He spent 3 three filming with the bike gang, and even though the trailer is short, you can tell that he really developed a relationship with the group. Though Pug may be young and posturing, there is an honesty to his character. This is a tough city and difficult neighborhood, so you need to posture in some way, and you might need something like a bike gang to get by. The filmmaker actually said it was easier to get close to them and present their point of view than it was to talk to the cops and the city about their perspective on the group’s activities, which is something he wanted to do and tries to do in the film.